The “Model” represents the real world object and provides data to the “View”. Note: – There is nothing as such called as MVC life cycle. I think lot of people are obsessed with ASP.NET page life cycle and they think there is life cycle in MVC as well. To be specific the MVC request goes through various steps of execution and that’s what is termed as MVC application life cycle. Creating the request object: – The request object creation has four major steps. Below is the detail explanation of the same. 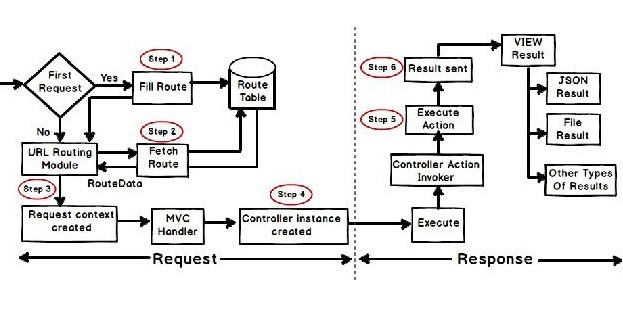 Step 1 Fill route: – MVC requests are mapped to route tables which in turn specify which controller and action to be invoked. So if the request is the first request the first thing is to fill the route table with routes collection. This filling of route table happens in the global.asax file. Step 2 Fetch route:– Depending on the URL sent “UrlRoutingModule” searches the route table to create “RouteData” object which has the details of which controller and action to invoke. Step 3 Request context created: – The “RouteData” object is used to create the “RequestContext”object. Step 4 Controller instance created: – This request object is sent to “MvcHandler” instance to create thecontroller class instance. Once the controller class object is created it calls the “Execute” method of the controller class. Creating Response object: – This phase has two steps executing the action and finally sending theresponse as a result to the view. Step 5 Execute Action: – The “ControllerActionInvoker” determines which action to executed andexecutes the action. Step 6 Result sent : – The action method executes and creates the type of result which can be a view result, file result , JSON result etc. 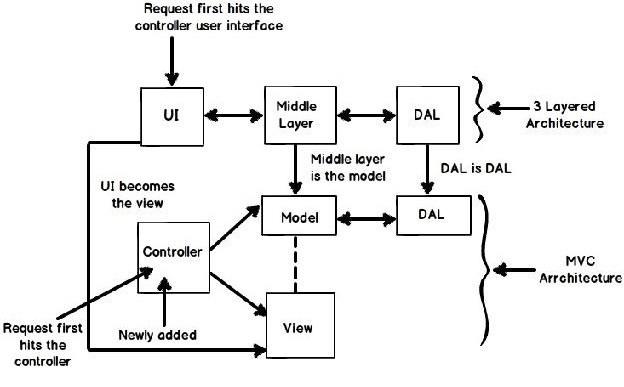 So in all there are six broad steps which get executed in MVC application life cycle. Look and Feel User interface. Explain the importance of MVC model binders? Model binder maps HTML form elements to the model. It acts like a bridge between HTML UI and MVC model. Now this form needs to fill the below “Customer” class model. If you see the HTML control name they are different from the class property name. For example HTML textbox control name is “CCode” and the class property name is “CustomerCode”. This mapping code is written in HTML binder classes. To create a model binder we need to implement “IModelBinder” interface and mapping code needs to be written in the “BindModel” method as shown in the below code. Now in the action result method we need to use the “ModelBinder” attribute which will attach the binder with the class model. For instance let’s say we want that when any user types “http://localhost/View/ViewCustomer/” , it goes to the “Customer” Controller and invokes “DisplayCustomer” action. This is defined by adding an entry in to the “routes” collection using the “maproute” function. Below is the under lined code which shows how the URL structure and mapping with controller and action is defined. What is RouteConfig.cs in MVC 4? “RouteConfig.cs” holds the routing configuration for MVC. RouteConfig will be initialized on Application_Start event registered in Global.asax. Mention what is the difference between Temp data, View, and View Bag? Temp data: It helps to maintain data when you shift from one controller to other controller. 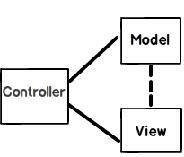 What is partial view in MVC? 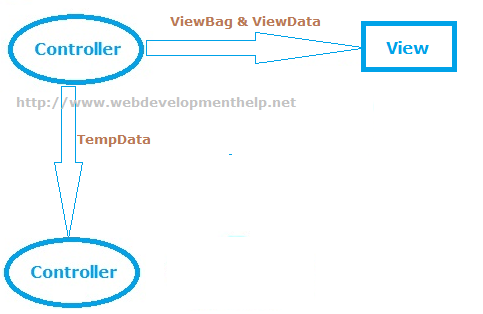 Partial view in MVC renders a portion of view content. It is helpful in reducing code duplication. In simple terms, partial view allows to render a view within the parent view. Explain how you can implement Ajax in MVC? Mention what is the difference between “ActionResult” and “ViewResult” ? “ActionResult” is an abstract class while “ViewResult” is derived from “AbstractResult” class. “ActionResult” has a number of derived classes like “JsonResult”, “FileStreamResult” and “ViewResult” . “ActionResult” is best if you are deriving different types of view dynamically. Explain how you can send the result back in JSON format in MVC? In order to send the result back in JSON format in MVC, you can use “JSONRESULT” class. Explain what is the difference between View and Partial View? List out the types of result in MVC? Mention what is the importance of NonActionAttribute? All public methods of a controller class are treated as the action method if you want to prevent this default method then you have to assign the public method with NonActionAttribute. Explain the methods used to render the views in MVC? View() – To return the view from action. PartialView() – To return the partial view from action. RedirectToAction() – To Redirect to different action which can be in same controller or in different controller. Redirect() – Similar to “Response.Redirect()” in webforms, used to redirect to specified URL. RedirectToRoute() – Redirect to action from the specified URL but URL in the route table has been matched.